My RubyConf Mission: Thank All The People! Are you excited for RubyConf? I am! It’s my first time, and it’s made possible by my awesome employer, Yardstick. Thanks Yardstick! I’m excited for the talks, though there are some time slots where it’s going to be tough to pick which talk to go to! Luckily, Confreaks records everything so I can always watch it later! Thanks Confreaks! Two paragraphs, two thank yous. I want to meet you at RubyConf and thank you for what you’ve done in the community. However small or large that contribution is, as long as it’s positive. If you’re out trolling the python mailing lists, well that’s not fun. Be positive! If you’re Rescuing Resque I want to thank you. If you’re adding DTrace probes to ruby I want to thank you. 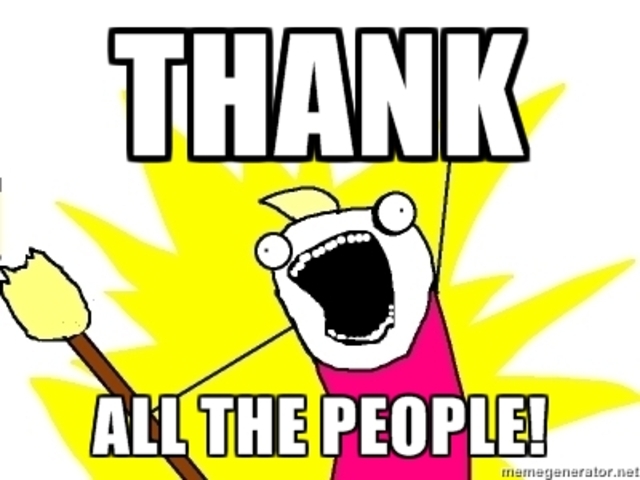 If you’re putting out screencasts on rails and other topics I want to thank you. I want to talk to you for a few minutes, take a picture, record or write some notes in Evernote and pull everything together in a nice big blog post after the conference. You’re doing awesome stuff, and I want to recognize that. I know everybody’s busy, some of you are giving talks, but there still should be lots of time to accomplish this, so please find me if I’m distracted or haven’t found you yet. I’ll be the guy with the beard and dreads. I highly doubt there are going to be other folks with dreads (though if there are, I want to meet you too). Are you excited for RubyConf? I am.